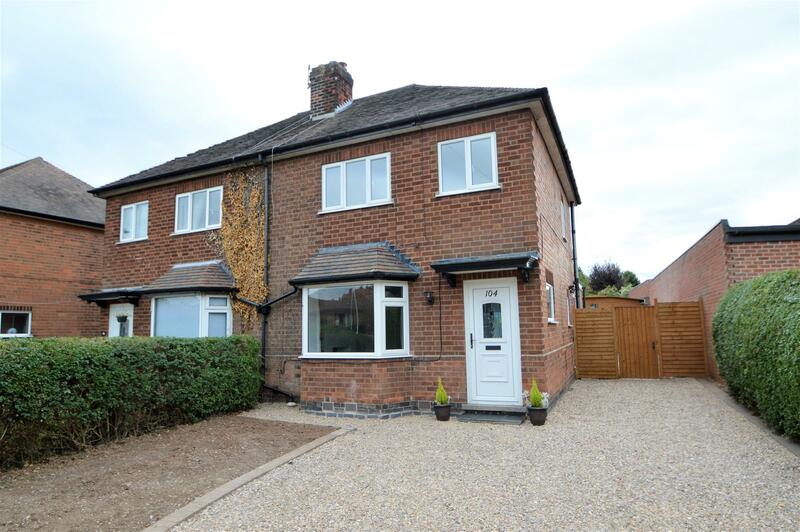 Benjamins Estate Agents are pleased to bring to market this extended three bedroom semi-detached house in the sought after village location of Keyworth on Nottingham Road. Having undergone a refurbishment including a new bathroom, new carpets, new boiler & electrics and modern decor throughout. Benefiting from having no chain. The property comprises; Entrance hall, living room, kitchen and dining area, downstairs WC, three bedrooms and a family bathroom. Large private garden to the rear and driveway at the front of the property. UPVC front door into entrance hallway with stairs to first floor landing, door through to living room. A spacious, extended kitchen/dining room, with a rang of units and work surfaces over. Breakfast bar, space for electric cooker and extractor fan, sink with mixer taps and half drainer, tiled splash backs, space for fridge/freezer, plumbing for dishwasher and washing machine, tiled flooring. Double glazed window to rear aspect, UPVC side door to garden, door to WC. Low level WC and hand wash basin, radiator and window to side aspect. 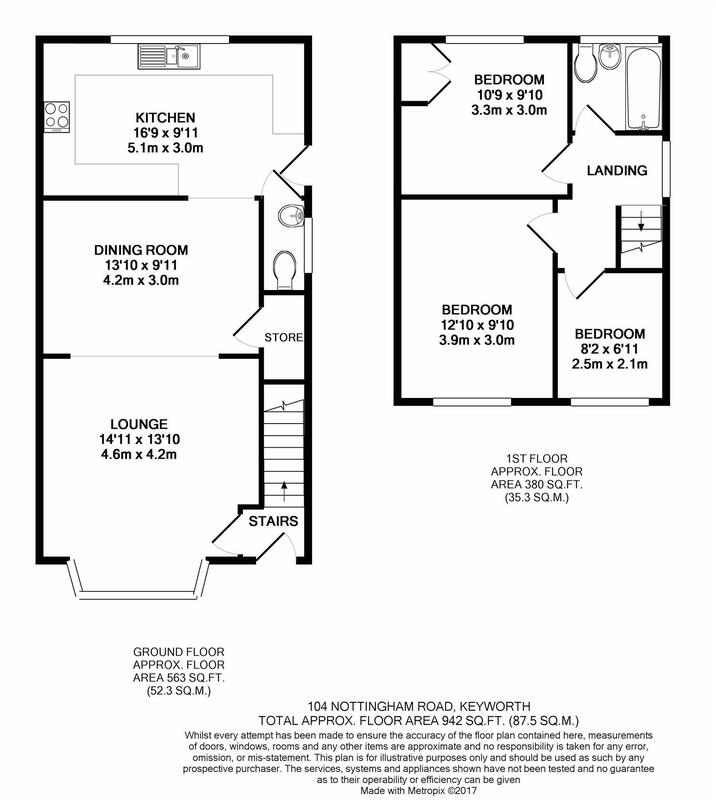 The first floor landing has doors to the bathroom and three bedrooms, access to the loft hatch. Newly installed bathroom suite, includes panelled bath with shower over, wash hand basin with modern mixer tap, low level WC, tiled walls, towel rail radiator and a double glazed frosted window to the rear aspect. UPVC double glazed window to the front aspect, double bedroom with pendant ceiling light, carpet & radiator. UPVC double glazed window to the rear aspect, double bedroom with pendant ceiling light, built in storage cupboard, carpet & radiator. UPVC double glazed window to the front aspect, single bedroom, pendant, lighting, carpet & radiator. The rear garden is a good size private garden with hedge boarders and a patio seating area. There are a few steps leading to laid lawn area and large shed. To the front of the property is a drive with parking for several cars and gated access at the side to the rear of the property.